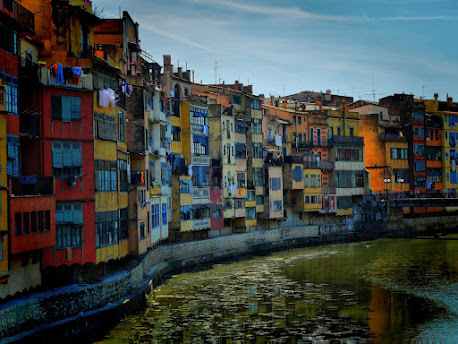 A few miles from the Costa Brava, Gerona/Girona is a site of premier historic and artistic significance. This tour introduces you to all the major sights--the river, the medieval walls, the Jewish quarter, the cathedral (which has the biggest nave of any Gothic church), the old church of St Felix, the "Arab" baths, and a variety of post-medieval buildings and streets. The tour can be customised to include museum visits, to focus on, for example, the city's Modernist architecture, or to take in a variety of tasty food and drink stops. Precise arrangements depend on seasonal variations in opening hours / trains / light etc, so accept in good grace your family's brickbats if you try it on your own and come unstuck.